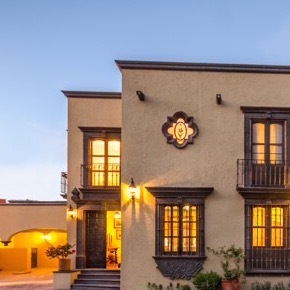 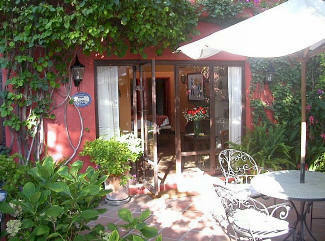 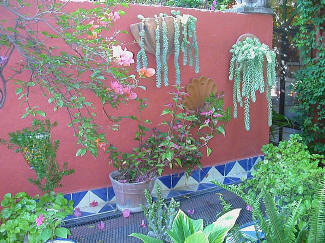 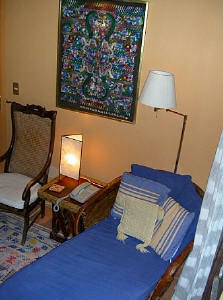 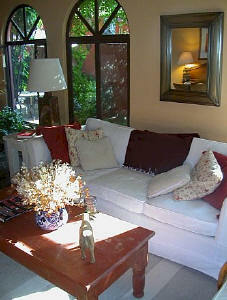 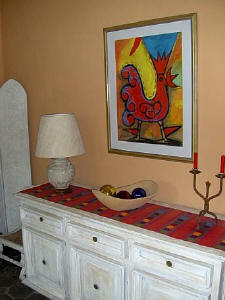 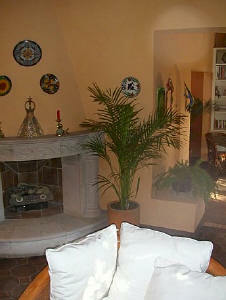 Romantic hideaway located on Calle Sollano, one of the most beautiful streets in San Miguel. 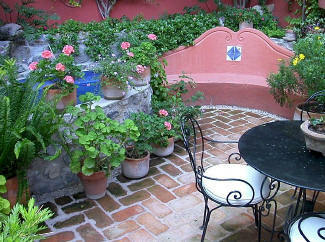 Walk two blocks along cobble stone streets to the center of town (art galleries, restaurants, & Parque Juarez). 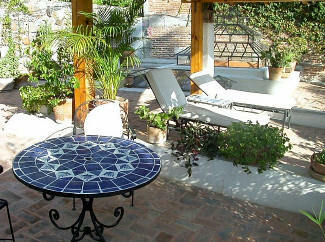 Romantic hideaway located on Calle Sollano, one of the most beautiful streets in San Miguel. 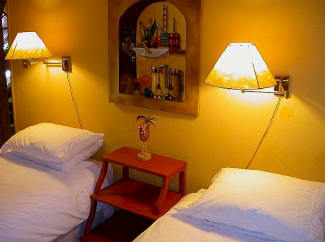 Walk two blocks along cobblestone streets to the center of town (art galleries, restaurants, & Parque Juarez). 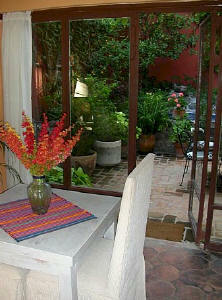 location-location-location on one of the best streets in town, Calle Sollano. 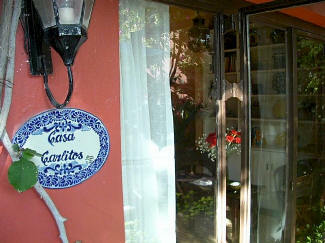 Set back from the street down a long entry passage way, Casa Carlitos is conveniently located in the heart of Centro yet away from traffic noise. 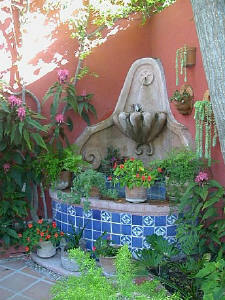 From the moment you enter into its front courtyard, complete with fountain, you find yourself in a tranquil oasis. 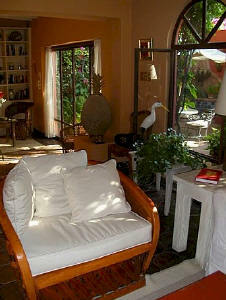 The charming living room with fireplace opens into this courtyard, plus there's another side patio on the far side of the living room, bringing more light and garden vistas into the house. 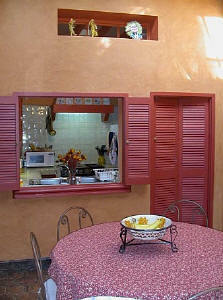 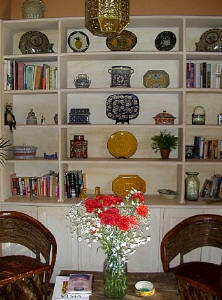 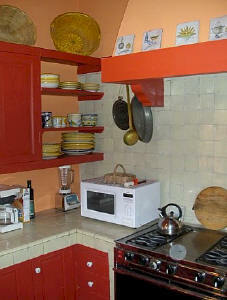 The small kitchen is fully stocked and has a pass-through window to the light-filled dining room. 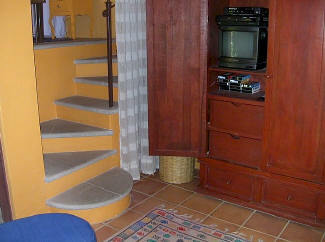 One full bath is accessible from the living room. 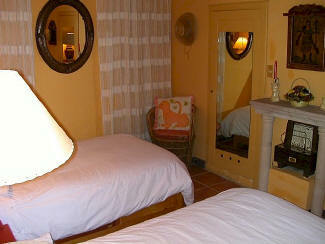 There's a small guestroom with two twin beds that uses this bathroom. 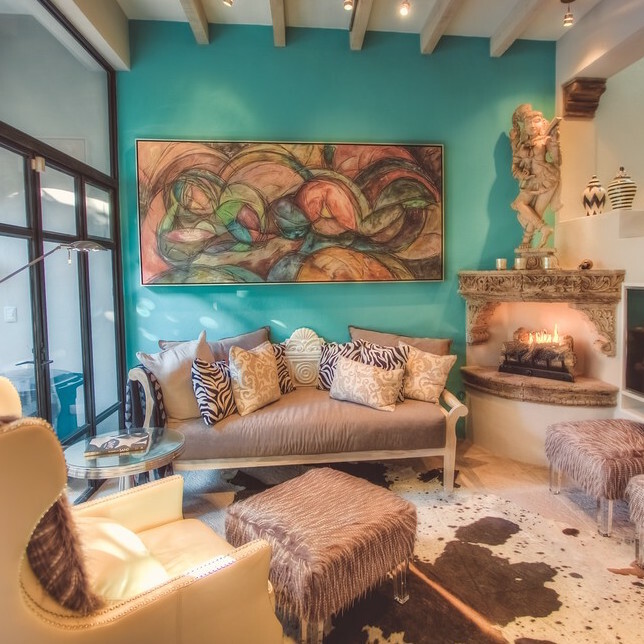 From the separate TV sitting room, there are a few steps up to the master bedroom alcove with queen bed, which has a view from the glass-paned wall into a private little garden area. 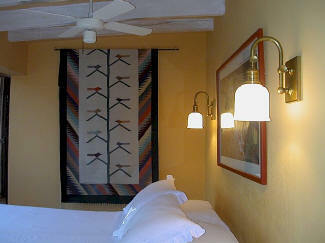 There is another bathroom for the master bedroom. 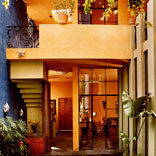 To get to the roof terrace, take the exterior stairs from the entry courtyard. 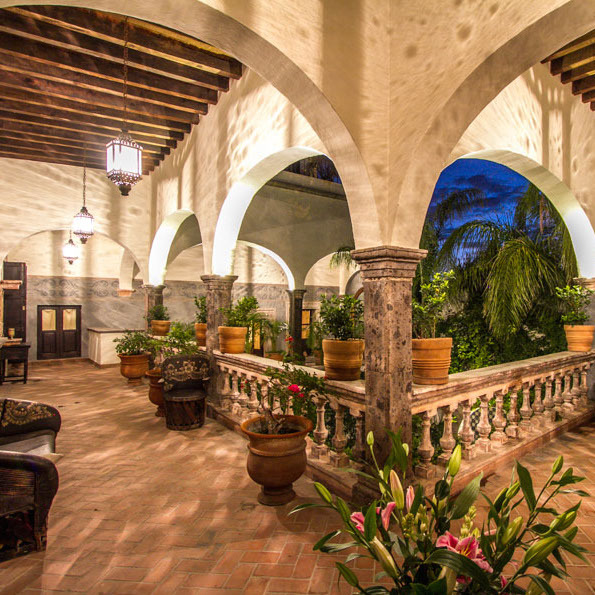 There's plenty of room on the roof terrace for outdoor dining, lounging under the bamboo-shaded area or sunning among the many flowerpots. 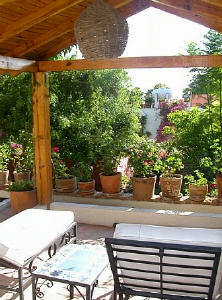 The laundry area is also accessible from the roof terrace.